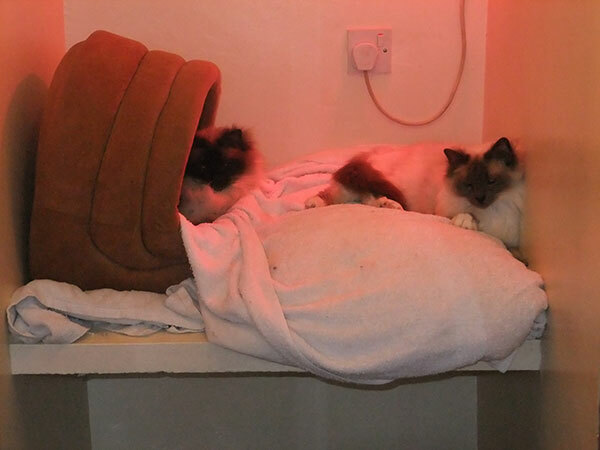 The Lions’ Den began as a very small concern in the early 1980’s in order to meet the holiday needs of families that had taken on a new cat from various local Adoption Centres which I was one. 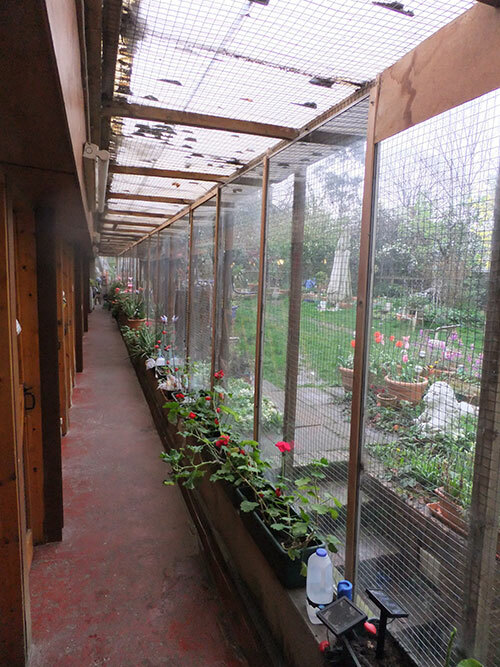 Due to “word of mouth” the growing number of requests for holiday homes for cats in the London Borough of Hounslow and neighbouring Boroughs our original premises were too small and the current building was opened in 1987. 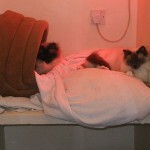 The Lions’ Den Cat Hotel comprises of individual brick built rooms that are separated from the adjacent ones by brick and glass walls. The construction allows our clients to see how comfortable their neighbours are but guard against the chance of catching infection. 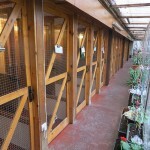 Each of the standard pens has a generous floor area and is individually heated with infrared lamps and/or heated pads. 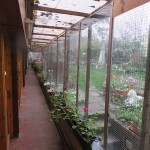 We are an indoor/outdoor cattery, the room opens on to an enclosed corridor, which allows plenty of fresh air in a safe, risk free environment. Bedding provided from home always settles the cats more quickly, but we can, of course, provide it. Your cat(s) will also appreciate some favourite toys. As a fully licensed boarding cattery we require an up to date inoculation certificate, covering flu and enteritis to accompany your cat on arrival. Only neutered cats, except those under six month’s old, are accepted. Fleas must not accompany your cat so flea treatment is essential prior to admission. We stock an extensive range of wet and dry cat foods. We can also cater for special diets upon request. You need to inform us what food your cat is currently eating. We are able to administer any medications and/or injections, which your cat needs, but we ask that these be provided in the original packaging with the dosage and frequency clearly marked. If injections are required syringes must be supplied. 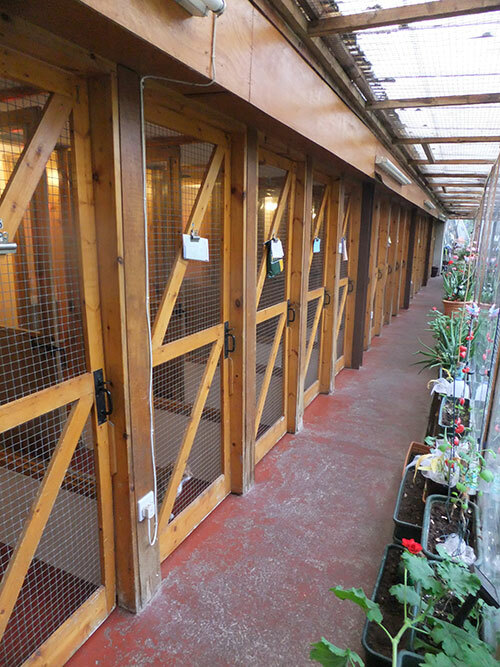 The Lions’ Den is able to offer a ‘cage rest’ facility for clients who have undergone major surgery and require an environment in which they do not feel obliged to jump up on to furniture and over-stretch themselves. This rest can take eight weeks or longer and is, obviously, undertaken under veterinary advice as to length of stay, feeding and medication administration, etc. for which a different boarding rate applies.